Associate Professor Joe Zorek, of the School of Pharmacy's Pharmacy Practice Division. In 2016, the Accreditation Council for Pharmacy Education’s (ACPE) newest set of standards went into effect, including a new standard specifically devoted to interprofessional education (IPE) — one of the most challenging expectations to meet in health professions education. Team-based approaches to care have been shown to reduce medical errors, reduce health care costs and improve patient outcomes. Most health professions accreditors have recognized the importance of IPE and the need to educate students for collaborative practice. Until recently, however, accrediting bodies have not intentionally coordinated their efforts to advance IPE, which led to differing expectations that became a barrier to incorporating quality IPE within curricula. With Zorek’s expertise, the Health Professions Accreditors Collaborative (HPAC) — which represents 25 accrediting bodies for health professions education — and the National Center for Interprofessional Practice and Education (National Center) joined forces to develop the first IPE guidance document that provides consensus terminology and expectations from accreditors, creating a common target across health programs to enable more consistent and effective IPE programming. The document, “Guidance on Developing Quality Interprofessional Education for the Health Professions,” was released on February 1, 2019, with significant contributions by Zorek, who received a grant from the National Center to begin work on the project in 2017. This guidance document, which has been endorsed by all but one of HPAC’s members, is designed to help every school and university accredited by endorsing HPAC members develop better IPE curricula, as well as improve the educational experience of thousands of health professional students graduating from their programs each year. When HPAC approached the National Center about developing a guidance document, Barbara Brandt, the director of the National Center, knew whom she wanted to bring on her team. In “Interprofessional Education Accreditation Standards in the USA: A Comparative Analysis,” published in the Journal of Interprofessional Care in 2013, Zorek systematically described how health professions accreditors were approaching IPE, including breaking down the language being used to describe expectations and quantifying the extent to which it was required in various professions. This work also uncovered a lack of robust measurement instruments to assess IPE outcomes, which inspired Zorek to lead the development and validation of a suite of instruments — work that has garnered national and international recognition. “I want my work to be innovative and impactful, so I tend to pursue projects capable of addressing critical deficiencies within the field,” says Zorek, who, with professor and associate dean for Academic Affairs Mel de Villiers, also led the School of Pharmacy’s effort to develop expansive IPE programming. After receiving the grant from the National Center in 2017, Zorek worked with his collaborators — including Brandt; Barbara Barzansky, co-secretary of the Liaison Committee on Medical Education; Stacey Borasky, director of the Council on Social Work Education; Jacqueline Remondet Wall, education directorate of the American Psychological Association; and Peter H. Vlasses, executive director of ACPE — to first identify areas of consensus within HPAC, then to develop the guidance document through a multi-step, iterative process including stakeholder feedback at key points along the way. Zorek’s work at the School informed his work with HPAC and the National Center, and vice versa, meaning that the program he helped develop at the School of Pharmacy echoes the new guidance. 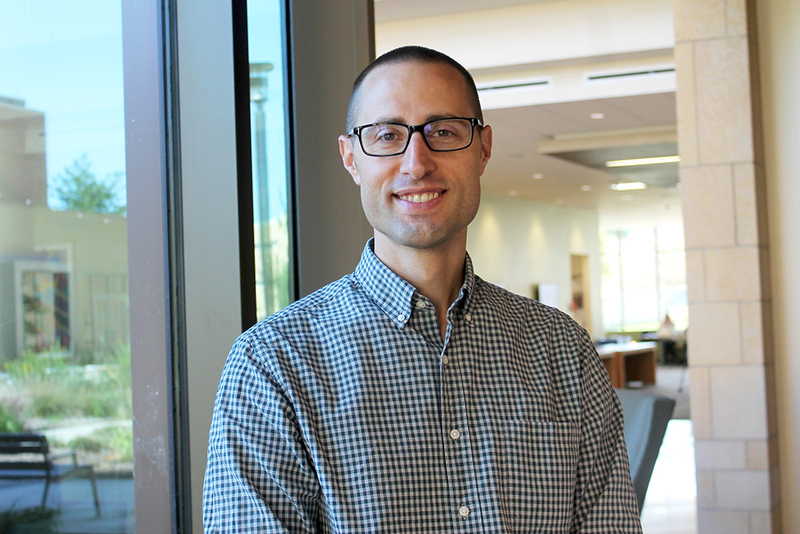 “At the School of Pharmacy, we are taking a very systematic, progressive approach to preparing our PharmD students for contemporary pharmacy practice roles, which involves imbuing them with a sense of who they need to be as pharmacists as well as interprofessional team members,” says Zorek. The School’s forward-thinking program influenced the HPAC-National Center guidance. “Our framework for IPE, something we created from scratch by synthesizing theories and best practices that fit our local culture and context here at UW–Madison, was incorporated into the guideline document and will thus be a model for others around the country,” says Zorek. Barbara Brandt, the director of the National Center for Interprofessional Practice and Education, and Peter H. Vlasses, executive director of ACPE. The new guidance serves a dual purpose: The accrediting bodies will use these guidelines to help inform and enforce their own standards, and the document also provides a roadmap for what programs can do to meet those standards. 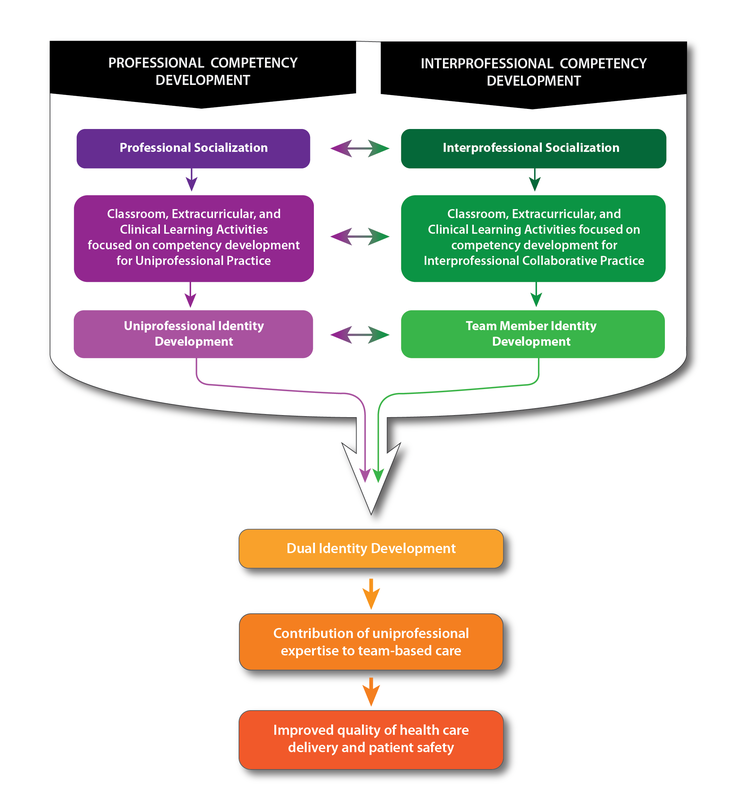 Specifically, the guidance document lays out consensus terminology and IPE concepts, encourages a systematic approach to building and collaborating on IPE, suggests a framework for faculty and leaders to develop IPE plans, and provides opportunities for accreditors to use the guidance to assess their IPE standards and train teams. Read more about the School of Pharmacy’s innovative interprofessional education programs.